With holiday parties come the inevitable classic holiday party drinks: hot chocolate, boozy eggnog, mulled cider, etc. But sometimes it’s still 80º where you live and all you want is a cupcake. 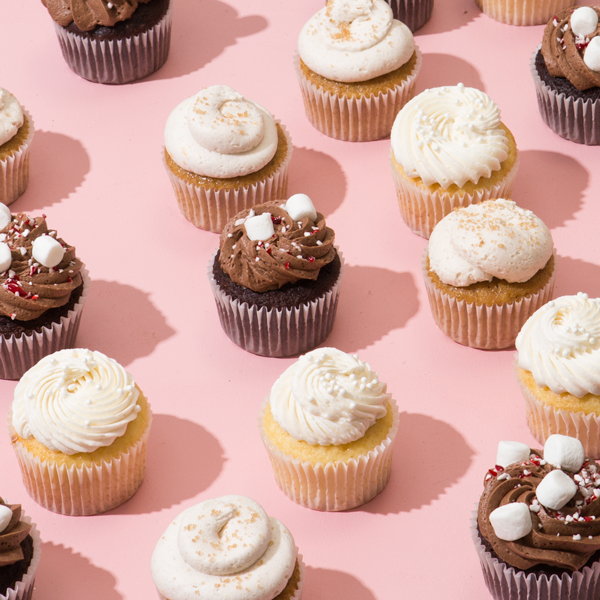 If you fall into that niche, congratulations we have holiday drink cupcakes! 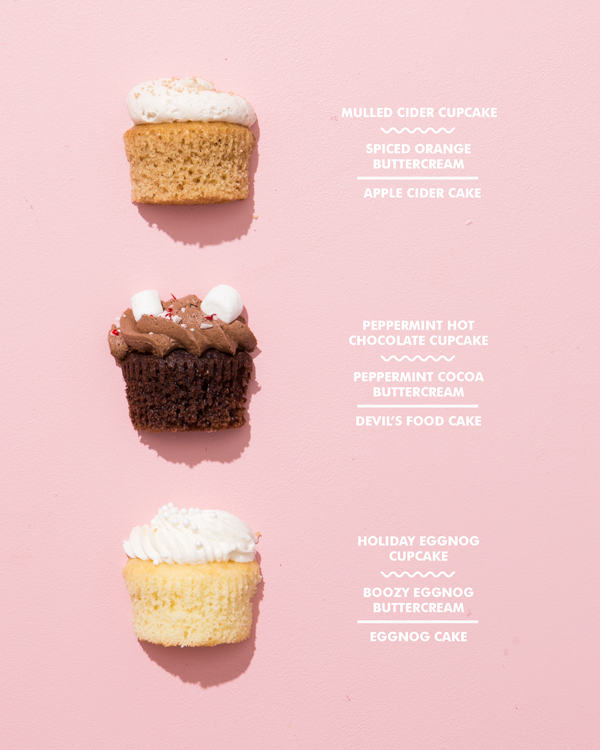 I went and transformed my 3 favorite holiday drinks into the portable baby cakes for all your upcoming holiday parties/celebrations so everyone can be happy and you don’t have to worry about investing in new glassware. Beat the butter, salt, cinnamon, allspice, and orange zest in the bowl of a stand mixer or a large bowl using an electric handheld mixer for about 1 minute, until fluffy and just barely lighter in color. Add half the powdered sugar, mix on low until just combined, then add the orange juice and two tablespoons of heavy cream with the remaining powdered sugar. Mix on low until combined then turn the speed up to high and beat for 1-2 minutes, until the buttercream is light and fluffy. If it needs it, add the remaining heavy cream. Pipe onto the cupcakes and sprinkle with turbinado sugar. Beat the butter, salt, and peppermint extract in the bowl of a stand mixer or a large bowl using an electric handheld mixer for about 1 minute, until fluffy and just barely lighter in color. Add half the powdered sugar/cocoa mixture, mix on low just until combined, then add 3 tablespoons of heavy cream with the remaining powdered sugar/cocoa mixture. Mix on low until combined then turn the speed up to high and beat for 1-2 minutes, until the buttercream is light and fluffy. If it needs it, add the remaining heavy cream. 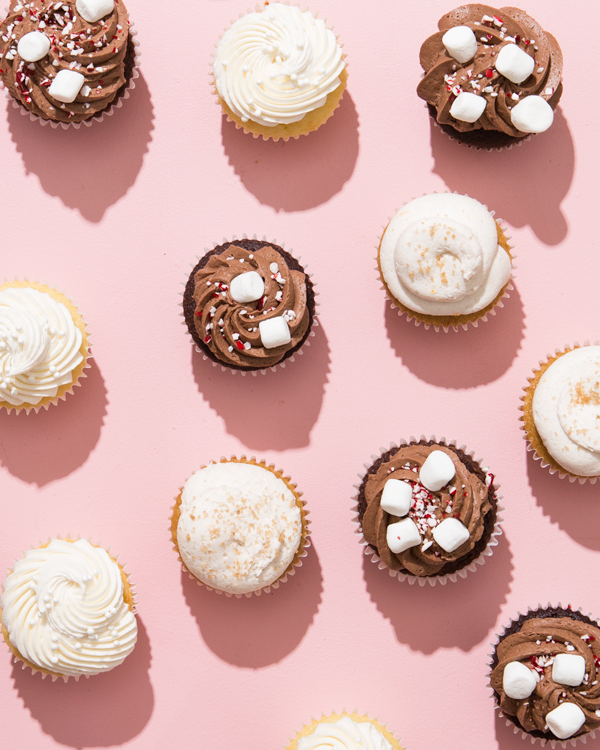 Pipe onto the cupcakes and sprinkle with crushed up peppermint and mini marshmallows (press these in just a bit to hold in there). Beat the butter and salt in the bowl of a stand mixer or a large bowl using an electric handheld mixer for about 1 minute, until fluffy and just barely lighter in color. Add half the powdered sugar, mix on low just until combined, then add the rum and 2 tablespoons of heavy cream with the remaining powdered sugar. Mix on low until combined then turn the speed up to high and beat for 1-2 minutes, until the buttercream is light and fluffy. If it needs it, add the remaining heavy cream. 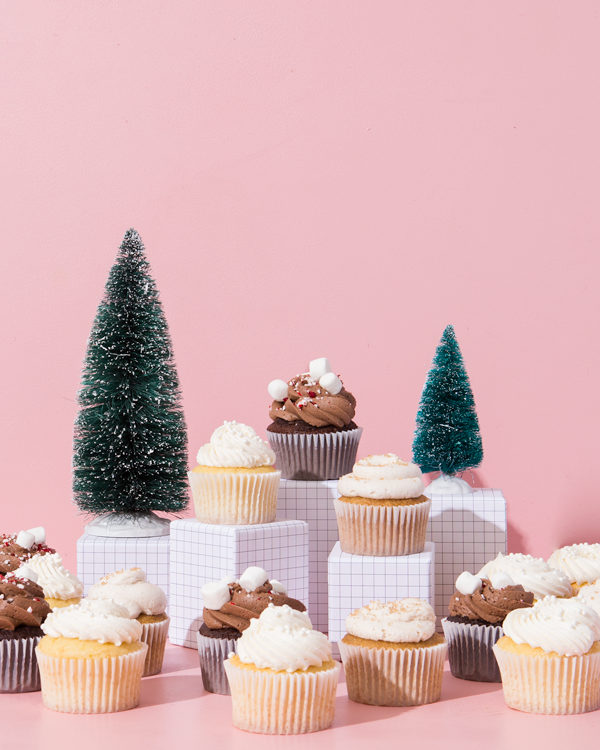 Pipe onto the cupcakes and sprinkle with sprinkles or sugar pearls. My friends are going to absolutely LOVE these, I love the sounds of the mulled cider one, yummy! Your pictures of them are absolutely gorgeous too, and they make me want to make these even more. These are such festive cupcakes! The imagery for this post is so gorgeous and well done! Made the eggnog cupcakes for a company potluck. The outcome was so tasty, that I was tempted to keep them all to myself. I love cup cakes… love to eat all! !